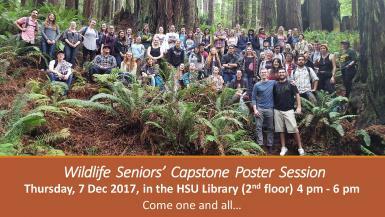 Come see what interesting research the senior wildlife students conducted! Posters will be displayed outside the Fishbowl on the 2nd floor from 4-6pm on Thursday, December 7th. Cookies and refreshments will be served.